Why should you install a solar system from SolarReNu now? Our team of professionals will make sure you are benefiting from all available government and utility company incentives, assuring you a fast return on your investment. Plus, when you choose our Solar Service Agreement, you get proactive monitoring, maintenance and repair, and full system insurance so you know you’re completely covered. Harnessing the power of the sun can allow you to start saving money right away — the instant the system is turned on. You’ll start to see the difference in your very next electric bill. You can choose from a variety of financing options, from same as cash to a low or no-money- down Solar Service Agreement. 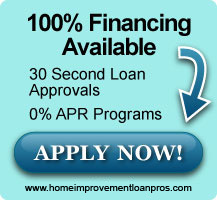 We will tailor a financing solution to best meet your needs. We offer solar solutions at affordable prices, backed by an industry-leading warranty. You can be confident that purchasing system through SolarReNu is the best option. Our goal is to make your transition to solar as easy as possible — so we take care of all paperwork and permits for you. The cost of electricity raises an average of 7% per year nationwide. *Solar power can help offset these rapidly accelerating costs by locking in the current rate for years to come. Solar reduces annual operating costs, which may increase your property’s value. We’re local and have served your neighborhood for years. We stand behind our expertise, so we guarantee our labor and your satisfaction with the installation. Solar is a clean, efficient, and sustainable form of energy. By [installing a solar system, you can significantly reduce your home’s annual greenhouse gas pollution. Plus, using solar power helps to reduce U.S. dependence on foreign oil! SolarReNu is dedicated to making your solar installation simple and worry-free. We will commit to clearly explaining your options, answering all your questions, and providing you with the optimal solar solution for your needs. Here’s why we are your best choice. What’s more solar is more affordable than you might think! When you meet with us for your free solar assessment, you’ll discover just how easy it can be to finance a solar system—and how quickly you’ll get the return on your investment.